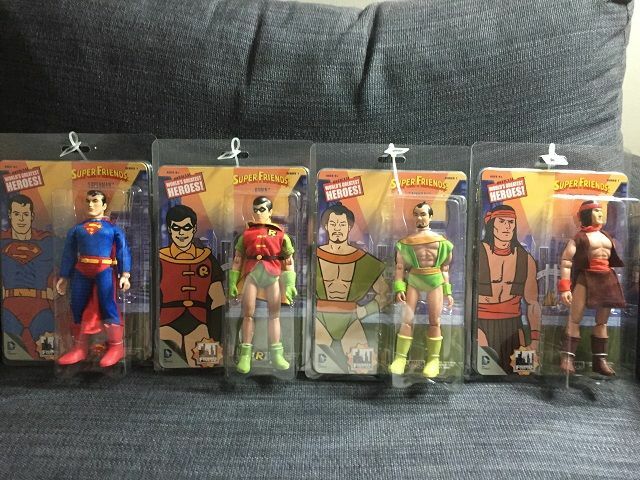 Here are the latest additions to my Super Friends collection! Figures Toy Company is issuing dolls like the types they had in the 70s, in full cloth costumes. 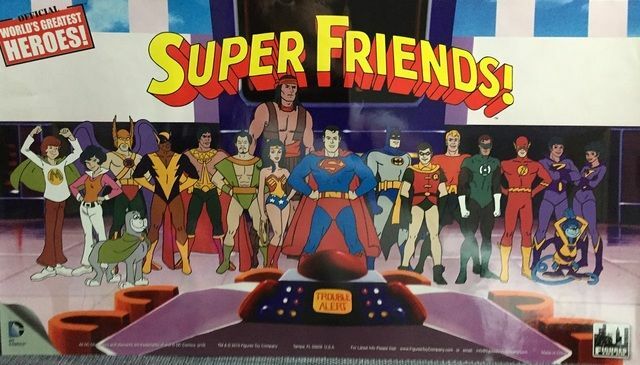 To commemorate the 40th anniversary of the Super Friends cartoon, they are doing a set of Super Friends dolls. 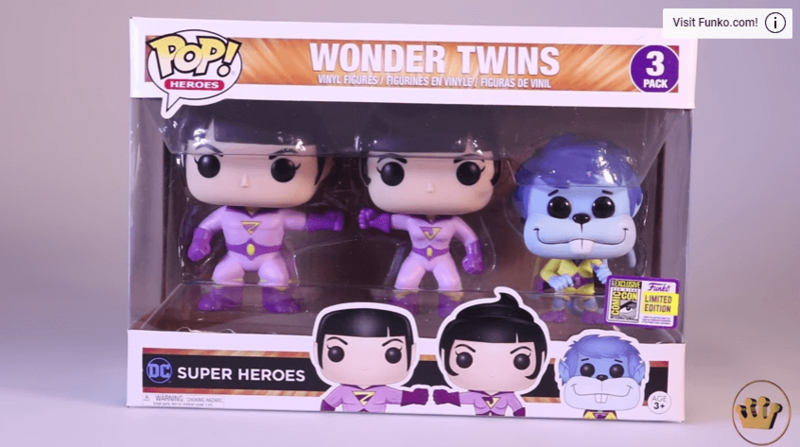 The Wonder Twins arrived today! The carrying case came at the same time. I took the image on the front out, because the plastic kept reflecting the flash. The case is almost 2 ft across and 1 ft wide. 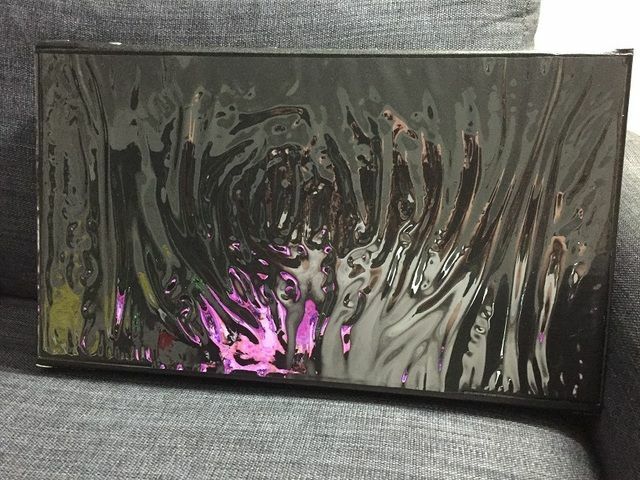 This is the image on the front of the case, behind the plastic. It makes a great poster! Don't let my grandsons see these!! They would have a cow! I normally don't do anything Christmas related until AFTER Thanksgiving has passed. However, I found this on Ebay, and since it was something I wanted to use to decorate for Christmas, I splurged for it. 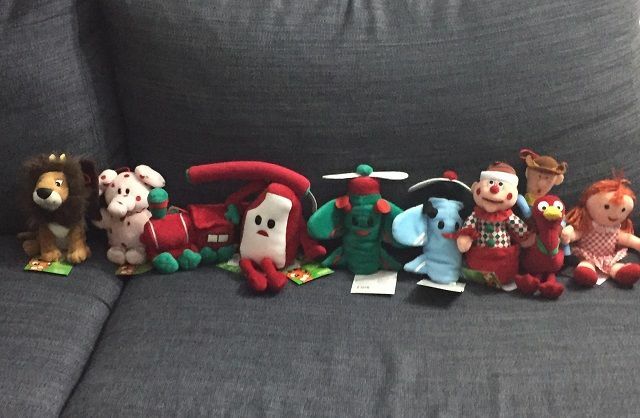 It's a collection of the characters from the Rankin Bass "Rudolph the Red Nosed Reindeer" cartoon. I'm adding a character list to each picture. 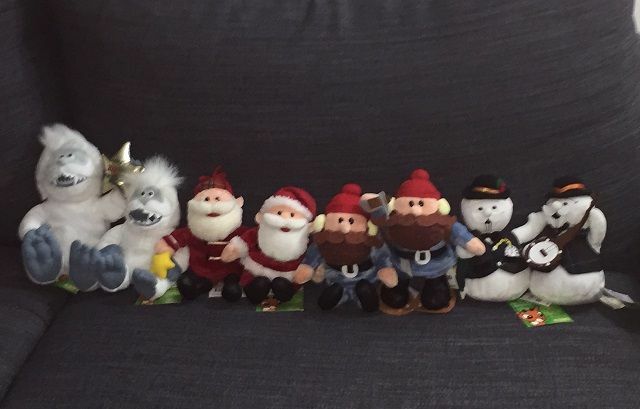 A larger "New Year's" Abominable Snowman, a smaller Abominable Snowman, a Santa figure, traditional garbed Santa Claus, two different Yukon Cornelius figures, and two Sam the Snowman, who narrated and sang in the cartoon. 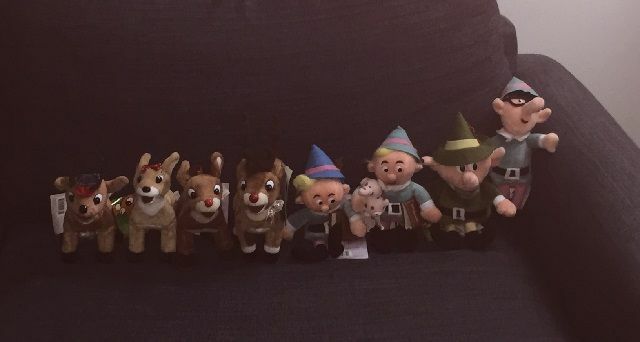 Coach Comet, in charge of the reindeer games, Clarice, Rudolph's girlfriend, young Rudolph, older Rudolph, two figures of Hermie, the elf that wants to be a dentist, the boss elf, and the tall elf. The Misfit Toys - King Moonracer, the guardian of the Island of Misfit Toys, the spotted elephant, the train with square wheels, the water gun that squirts jelly, two airplanes that can't fly, a Charlie in the Box, the cowboy who rides an ostrich, and Dolly. and look who was waiting for me when I got home today! 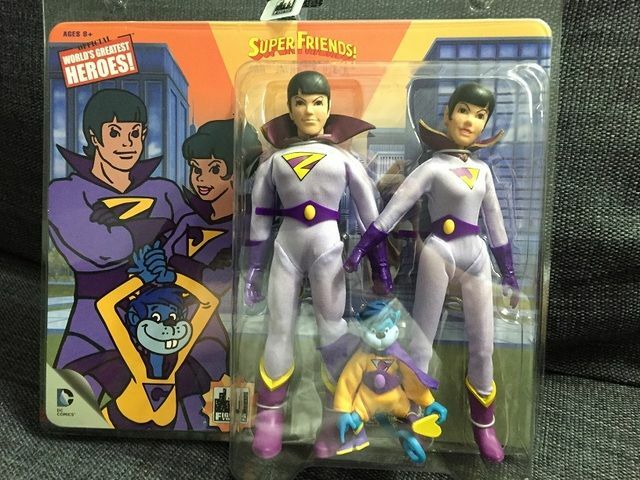 The newest addition to my Super Friends "shrine".....Funko Pop super heroes, and their version of The Wonder Twins.